The previous Great NEWS post discussed the Energizing Exercises & Fascinating Fitness Menu and today we look at the cons and pros of the Primal Lifestyle. Primal living embraces the habits and lifestyle of our ancient ancestors that were gathers and hunters instead of city dwellers and farmers. Is it right for you? After much reading, research and soul searching some extremely interesting information came to my attention that prompted me to begin adopting aspects of the Primal Lifestyle. Living a modified primal lifestyle is quite a radical shift from my extreme raw foods and vegetarian lifestyle from 1998 to 2010. While not living the life of a caveman, adopting many of these principles involved quite a dramatic mindset shift since deciding in 2010 to go to a more primal eating and lifestyle. To understand this major shift lets begin at the beginning. I was born in San Antonio, Texas and was strongly influenced by my mother and her family who lived on a farm in the Polish community of St. Hedwig near San Antonio. As farmers following their Polish heritage they worked hard and produced the vast majority of the foods they consumed. My grandfather lived to be 93 and it was great to learn about farming and feeding the family. During the depression he even had surplus food he took to San Antonio by horse drawn wagon to sell and then buy items they could not produce. In their large garden they grew beans (many varieties), beets, black eye peas, cabbage, cauliflower, cantaloupe, carrots, corn, cucumbers, kale, lettuce, okra, onions, radish, red potatoes, tomatoes, spinach, squash (summer and winter varieties), strawberries, watermelons and wild mustang grapes. They also had access to local honey, molasses, oats, pecans, sorghum. My grandmother had a wide assortment of fresh herbs, roots and spices in her garden. They also raised chickens (eggs), cows (butter & milk), fish, goats, guinea hens, hogs, pigeons, rabbits, sheep and turkeys. This provided the animal products they needed. The reason for going into some detail is to highlight that the foods were fresh, healthy, home grown, local, natural, organic, seasonal and sustainable. Different seasons of the year produced different food choices. 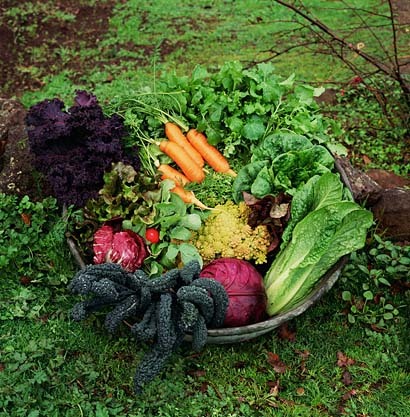 Different fresh vegetables were grown year round and chickens, eggs, meat and milk could be harvested as needed. Surplus foods were canned in jars, cultured, frozen, smoked and stored. It was a very easy, effective and efficient food system. Contrast that with our modern system of highly heated, processed and treated foods loaded with synthetic additives, chemicals, colorings, flavorings and preservatives. Foods today are mostly manufactured for great taste (excess salt and sugar), long shelf life and low cost (cheap ingredients like GMO canola, corn, soy) instead of health enhancing and nutritional qualities. For several decades foods have gone through a rapid transformation to boxed, canned, fast foods, frozen foods, junk foods, micro-waved foods, packaged and processed foods that could sit in a freezer or on a shelf for many years without spoiling. 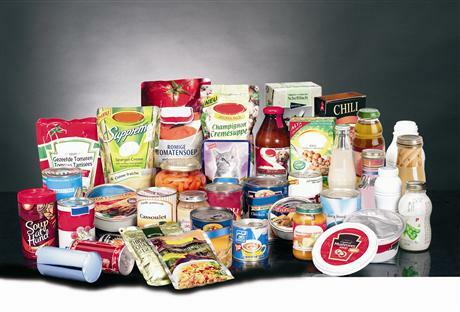 For several decades foods have gone through a rapid transformation to boxed, canned, fast foods, frozen foods, junk foods, micro-waved foods, packaged and processed foods that could sit in a freezer or on a shelf for many years without spoiling. Even though people were trying to eat healthier they often found themselves gaining weight, looking sickly, loosing their energy and suffering from degeneration and disease. For many economic, environmental and health reasons people became concerned about their diets and based on various recommendations began cutting back on animal products and saturated fats like butter, coconut oils, dairy, eggs, fish, lard and meat. They shifted to more carbohydrate based foods like bagels, beans, biscuits, bread, cereal, chick peas, chips, crackers, fruits, juices, rice, pancakes, pasta, pizza, potatoes, processed oils, sandwiches, soy, sugar, tacos, tofu, tortillas and wraps to replace the fullness and nutrition that had been provided by the foods they gave up. This led to a massive increase in calories and resulted in diabetes, obesity and weight challenges for many tens of millions. Now the epidemic of being sad, sick, stressed and tired has expanded to billions of people and it is obvious the system is in trouble. For many people the consumption of fresh animal products, fruits, salads, vegetables and wild foods has declined and been offset by a massive increase in carbohydrates which store larger amounts of calories. This has resulted in an eating and lifestyle shift which is way out of balance with our evolution and genetic coding. After years of going through many adaptations and changes to my earlier eating habits the next step for me was adopting a mostly raw and vegetarian lifestyle which was a big shift. My energy soared, my excess weight melted off, my mental clarity and emotions were soaring and my body and skin seemed to be more vibrant and younger. For a while this was the greatest feeling imaginable and my body cleansed and detoxed releasing a significant amount of toxins and waste material. My body responded well to this and a short while later enjoyed long distance running and even marathons. After several years of fairly strict compliance my body peaked and after loosing too much weight seemed to decline. Maybe it was from not receiving enough calories or the right combination of carbohydrates, fats and proteins in spite of eating many of the best foods and superfoods on the planet. 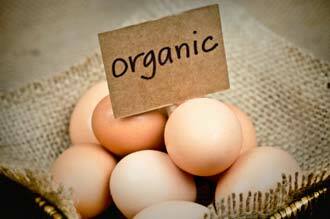 A shift to organic eating can have a big impact on your health. After years of reading articles from Dr. Mercola, The Weston Price Foundation and other whole food and Paleo/Primal promoters it seemed like it was time to shift again to a healthier version of my younger days by adding back the organic eggs and grass feed animal protein and wild fish. My body responded quickly to the food items being added back and my weight stabilized and muscle mass began to increase. While not at my ideal weight yet, things are on track for the muscle mass gain and strength to continue and be back at my college weight of 165 pounds by 2014. When your weight is too high or too low it may be a sign your body is not happy with the exercise and food program you are following. These days my eating routine is about 70% raw or slightly warmed berries, fruits, green leafy plants, fermented foods, mushrooms, roots, vegetables, sprouts and sea weeds including maybe 10% of which is amaranth, black and red cargo rice, chia, oats, quiona and sourdough or sprouted grains like rye and millet. 20% is in the form of raw fats, nuts, oils (coconut, grapeseed, olive and sesame) and seeds. This is combined with about 10% organic eggs, grass fed meat, cold processed whey and wild fish (anchovies, herring, mackerel, salmon, sardines). Almost no processed and refined corn, white flour, wheat, white potatoes, white rice or white sugar is consumed. Our Paleo ancestors were gathers and hunters. This meant a diverse variety of berries, eggs, flowers, fruits, greens, herbs, mushrooms, nuts, roots, seeds, vegetables, sea weeds and tubers. A Primal lifestyle involves switching to the activities and diet of our ancestors which consumed berries, greens, herbs, nuts, roots, seeds, vegetables and fair quantities of meat, fish and fowl. That also means avoiding fast food, junk foods and processed foods. The focus is on whole foods from a wide variety of sources. Most fake foods, grains, processed products, refined foods and sugars are avoided. Primal exercises focused on natural activities and exercise that involved carrying, climbing, jumping, lifting, paddling, running and walking. Most activities are done outdoors in the fresh air and sunshine for optimal natural health and vitality. Gadgets, gyms and machines are avoided in favor of a more natural approach. Exercise is often done barefoot or while wearing minimal foot gear. Many Paleo types like to avoid the artificial lights, fast lifestyle and staying up late at night in favor of getting more sleep and tuning into their natural biorhythms. 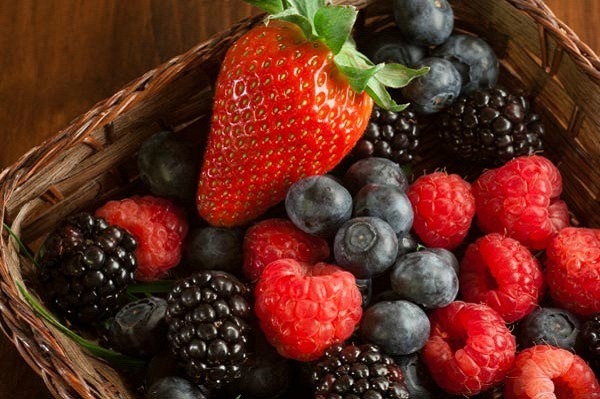 Choose berries and natural fruits and avoid the hybrid and seedless fruits (like grapes, oranges, watermelons). Avoid artificial, boxed, canned, frozen, microwave, preservatives, processed, refined, synthetic and treated foods. If it does not grow in its natural and wild state avoid it. Avoid chemical fertilizers, fungicides, herbicides, insecticides and pesticides as much as possible. Eat real whole foods. Food with additives, coloring, flavorings, HFCS, ingredient lists, labels, packaging and refined sugar are best avoided. Eat healthy fats like avocados, nuts, oils (coconut, grape seed, olive, sesame) and seeds. Eliminate most refined grains, hydrogenated trans fats and sugars. Choose ancient grains and seeds like buckwheat, chia, quiona and wild rice. Engage in natural movement exercise and fitness. Think how our ancestors lived before the introduction of high-tech gadgets and machines in gyms today. Exercise from two to five hours per week with low level aerobic activities like: biking, hiking, swimming or walking. 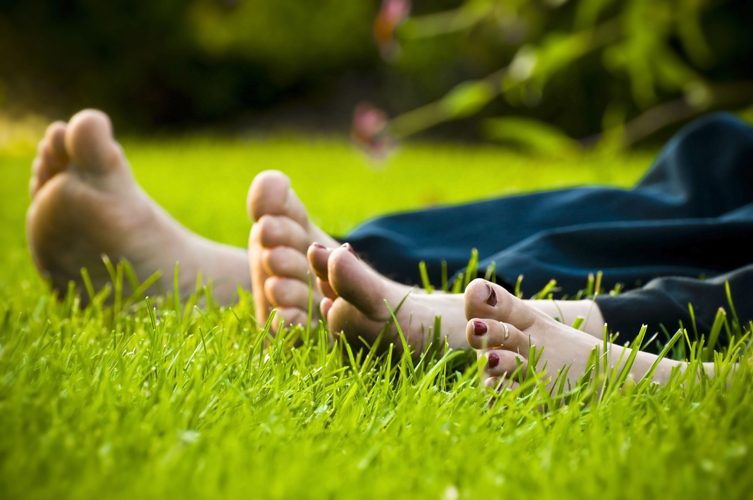 When possible go barefoot on the beach, grass or trail. When you are not barefoot, wear as minimal foot support as practical. Participate in body weight exercise (planks, push ups, pull ups etc. and full range of motion jumps, lifts, lunges and squats. When you are physically fit and ready for running short intervals and sprinting add this to your routine. Or choose high intensity interval training routines that work for you to develop your core and major muscle groups. Invest some time each week engaged in challenging and fun activities like climbing, exercise ball, kettlebell, medicine ball, soccer, stairs, throwing, Ultimate Frisbee and weights. Be sure to get adequate sleep each night and be in cycle with the season and sun. For many people this may mean being in bed by 9 or 10 and sleeping until 5, 6 or even 7 AM. Being outdoors in the fresh air and sunlight as often as possible is also important. Connecting with the earth and nature is important to remain balanced, calm and centered. Chronic distress and stress leads to illness and disease. Connecting with the earth and nature is important to remain balanced, calm and centered. While our ancestors had to contend with concerns for food, shelter, water, weather and wild animals today we face an even longer list of life stressors that keep us in a fight or flight mode much of the time. These variables can quickly impact our quality of life if we do not take specific steps each day to maintain our body, mind and spirit in a harmonizing and healing way. A primal lifestyle may be the right path and mastery action plan to help you turn back the clock and help you relax, rest, restore and rejuvenate your body and mind for a happier and healthier life. Remember to listen to your intuition and look at your body to feel and see what is working or not working. If you are not getting the results you want after a reasonable amount of time it may be time to change your approach. Also notice how the person delivering the information and suggestions feel and look. Are they walking the talk and looking energetic, glowing, healthy, resilient and vibrant? Many self proclaimed experts have limited experience, perspective, success and time in their field and may not be seasoned and sensible enough when it comes to what is best for you. Use your common sense and look at long term trends versus short term theories. This Great NEWS post shared the basics concepts of the Primal Lifestyle. These simple recommendations and resources when added to your current rituals and routines may help you shift your happiness and health to the next level. My outcome is to educate, empower and energize you to look at new information and see it in a light to determine if it fits and it works for you. The Primal Lifestyle has many advantages and benefits to help people feel better, live longer and look fantastic. Are you open and ready to pursue primal? Are there areas of your exercise, fitness and nutrition program that are not working well right now? Is your food, nutrition and physical training providing the body you desire and deserve? Recommended readings include: Articles from Dr. Mercola at www.Mercola.com, Mark Sisson at www.marksdailyapple.com and Weston Price Foundation at http://www.westonaprice.org. What comments, commitments or questions do you have regarding primal eating and fitness?